PlaneSense, Inc. seeks pilots with varying backgrounds and experience - including those who are new to the field, or retired from careers with the military or commercial airlines, PlaneSense is also proud to see a growing number of women pilots among its ranks. In fact, the highest-ranking pilot in seniority is a woman! Hear what it’s like to fly for PlaneSense from a few of our pilots. We are proud to work with talented, hardworking pilots who provide stellar customer service every single day. 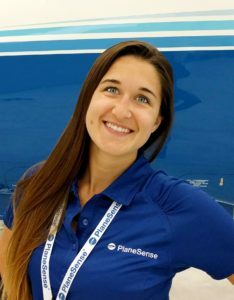 Meet our team and hear why flying for PlaneSense’s close-knit working team is different than typical corporate pilot jobs. 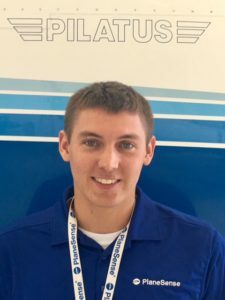 “I began working at PlaneSense as a Crew Services Rep in the Flight Operations Center in 2012 and was flight instructing at the same time, trying to reach my minimum hours to become a PlaneSense First Officer. I applied in November 2014 and started the First Officer class in April 2015. Training was less like school than I expected. We quickly applied the information we were learning to real life situations, which was such a great way to learn and retain it. The training instructors are far above the best around. The people at PlaneSense – that’s what kept pushing me to pursue my FO position here. The company is one of those places where everyone is behind you all the way. I never ran into a single person who didn’t support my efforts to become a pilot. Captains kept reaching out and offering their help. It was a great experience. I love the interactions with the owners. One owner flying with us had just received his Instrument rating and asked to plug in during the flight to listen. He waited for us to deviate around weather, then began asking us questions about what we were doing and our thought process. At the end of the flight, he was extremely appreciative and said he gained so much knowledge just from listening to our interactions with ATC and our communications throughout the flight. “I haven’t been working at PlaneSense for very long, but I loved going to the Dominican in one of my early cycles. It was a fun adventure. The training was awesome and we have very knowledgeable instructor pilots. “I was not looking for just a flying job. In fact, PlaneSense was the only flying job that I applied for. I was primarily looking for a position in aviation. I wanted to continue to be “part of a team.” The thought of hanging up my uniform on the last day of service, and lounging on the deck with an iced tea appealed to me… for about two tenths of a second. My criteria for determining a company’s desirability is weighted heavily on the personality/behavior/likability of the people who work for the company. Also, for a flying job, the mindset of management, concerning AC maintenance and safety is also heavily weighted. I would tell prospective retirees that PlaneSense scores high in both of these areas. When the captain makes a final determination based on safety (to fly or not to fly), the CP’s office, and/or maintenance does not second guess his/her decision. 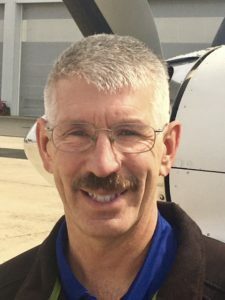 “One of the most surprising things I learned when I started looking at civilian flying jobs was how backward many companies were with regards to safety. The strong military safety culture was something I had helped nurture and I saw the positive results it created. I have felt that some in the industry might view ex-military pilots as being too safety conscious. You’ll find the opposite here at PlaneSense. The company has an excellent safety culture, which starts at the top and goes down to all the line employees in the company. I have never been forced to make a flight or take a bad airplane. It’s an honest airplane that you really fly, as opposed to letting a computer fly. It’s reliable, has good legs, can get in and out of some incredibly short runways, and cruise up in the Jet Routes at a surprisingly fast speed. As for the mission, the best way to describe it is “every day is different.” Our flying is dictated by the desires of our clients, so on any given day you may find yourself flying into LaGuardia or an uncontrolled 2600 foot long strip in Vermont (or both, as I did a few months ago). You will do most of the planning and make most of the decisions. The days will be long, and the pace can be grueling. But you will be treated like an aviator. 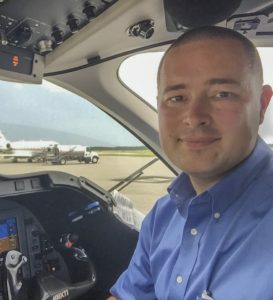 “I started at PlaneSense well over a decade ago, a twenty-three year old former flight instructor living with my college friends in a cramped apartment. 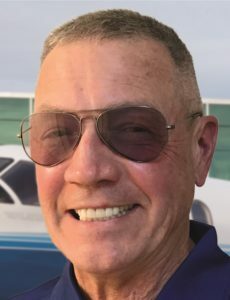 Eighteen months later, I had upgraded to Captain, developed some serious instrument flying proficiency, and was feeling comfortable negotiating the alternating seasons of ice and thunderstorms in the Northeast. Along the way, I found a girlfriend, got married, and became a father. Through the ups and downs of the economy, PlaneSense has been a stable place to work. Now that I’m supporting a family, I’ve come to really appreciate that stability. Our first child was born five weeks early. Murphy’s Law being what it is, she went into labor while I was on an overnight in Louisville, Kentucky. A quick phone call to management and we had permission to reposition the plane seven hundred miles back east, right to my hometown. I made it to the hospital with only thirty minutes to spare. They shifted my vacation early to give me three weeks paid time off, the head of HR personally offered her babysitting services, and we even received an embroidered baby blanket in the mail a week later. I am proud to work at a company that places that kind of value on family.